Introducing you to the absolutely beautiful big john and slim joe font - free download. 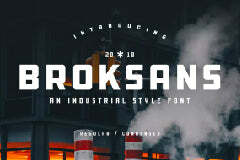 Download this typeface from the original source of Ionyc Type. Amaze your fellow designers and create stunning designs with this cool font.